The jubilee 20th edition of the international exhibition �Vinaria� starts in Plovdiv. 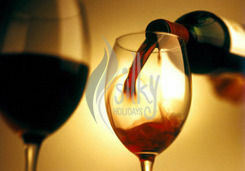 40 wine producers from Bulgaria and 200 companies from abroad will participate in the event. The exhibition will take place from 15th - 18th march in Plovdiv. For the first time this year a blitz course �The magic of wine tasting� and a sommelier competition will be held during the event. This was announced by the press centre of the Fair.